American actor and comedian Robin Williams was found dead at his home in California yesterday. Police in Marin County said that Williams was pronounced dead at the scene and indicated that his death was believed to be a suspected suicide. The police statement explained "At this time, the Sheriff's Office Coroner Division suspects the death to be a suicide due to asphyxia, but a comprehensive investigation must be completed before a final determination is made." Williams' wife of three years Susan Schneider released a statement describing her grief as "utterly heartbreaking". Schneider also asked that people remember all the joy that her husband brought to people saying "As he is remembered, it is our hope the focus will not be on Robin's death, but on the countless moments of joy and laughter he gave to millions." 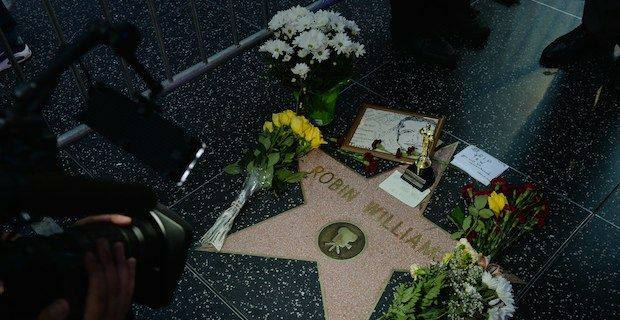 A spokesperson for the actor, Mara Buxbaum, said that Williams had been battling severe bouts of depression for many months now. She added "This is a tragic and sudden loss. The family respectfully asks for their privacy as they grieve during this very difficult time." Tributes poured in from all around the world including a glowing one from Barack Obama which read "He was one of a kind. He arrived in our lives as an alien but he ended up touching every element of the human spirit. He made us laugh. He made us cry." Williams had his major break out role on the hit TV show Mork and Mindy where he played an alien. He later went on to achieve great success on the big screen with iconic roles in movies like Good Will Hunting, Dead Poets Society, Insomnia, Good Morning Vietnam and Mrs. Doubtfire where he played a man who dressed as a woman in order to spend more time with his estranged kids.